It’s time to take a look at the start of the Professor Layton prequel trilogy! It’s always fun to see the characters first meeting up so I was ready for the big Layton/Luke team up. There’s no chance for them to fight as in most classic prequels, but Luke did manage to be rather mysterious for a little while. Aside from a dreadfully terrible ending that makes you want to delete the game, this is another solid title in the consistent series. It always reminds me of how puzzles are actually a lot of fun if they’re handled correctly. Layton may be a mild mannered professor during the day, but he is also a master sleuth and archaeologist. He receives a letter from an old friend of his requesting some help. As he is about to head off, a girl named Emmy shows up and claims she is now his assistant. Layton tries to get out of this situation, but she won’t take no for an answer. 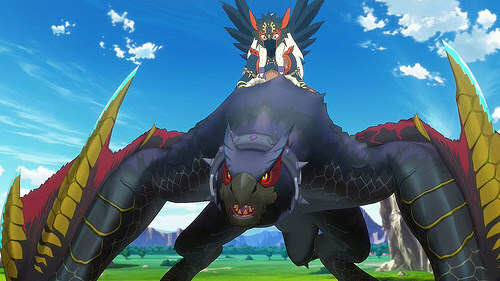 The two of them head to the town where a giant monster shows up and knocks over a lot of buildings. Clearly this is an enemy that Layton is not going to want to underestimate, but is there really a monster or is it just a fake? A kid named Luke seems to be able to predict whenever it will appear which is rather suspect. Between the suspicious mayor, the underground gangs, and the corrupt police, Layton will have his work cut out for him. Emmy’s a great addition to the cast in this game. I like her more than her current timeline counterpart and the fact that she can fight is really great. We get several cutscenes of her taking down gangs and defending Layton. A gentleman resorts to violence as a last resort of course and as such Layton doesn’t have a whole lot of combat training. I’m definitely going to be interested in seeing why she decides to leave Layton by the end of the trilogy. Maybe she’ll end up appearing in the new 3DS game that is coming out soon. Layton is a solid main character as always. He stays firm even as he gets threatened by various characters. He’s always tipping his cap when greeting others which is nice of him and has many plans at the ready. Villains rarely catch him off guard. There’s not much more to say about him that I haven’t already said in the older games. Luke is also pretty similar to the other games even though he is quite a bit younger. He’s not really ready to solve too many puzzles this time around, but always manages to try his best regardless. Luke’s father didn’t look very good the whole time. He just seems awfully shady without and never seems like a nice guy. Everything is a mystery though so keep an open mind. The graphics are pretty good of course. 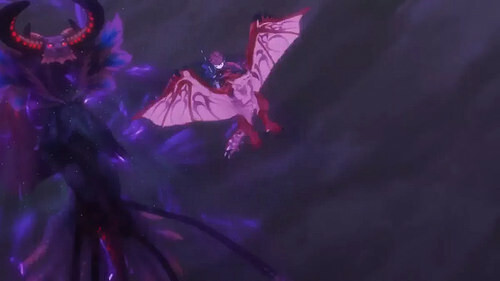 As always we get a number of fully animated cutscenes at the ready which was great. The fact that we had multiple action scenes during them was also pretty neat. The scene of the monster destroying the town of Emmy comboing the gang were both quite exciting. I’d also say that the soundtrack is pretty good, but I’d like some new themes. I felt like they were all recycled from previous games. I can get the nostalgia appeal of course, but new themes help to keep the games fresh and relying on old ones can be a bit lazy. I enjoyed the array of puzzles. A lot of them follow the same style as older ones, but there are some new ones as well. It’s not as if there are a whole lot of different ways to make a puzzle after all so you’ll inevitably have some recycled ones. Still, they’re always enjoyable to get through and the game does its best to make them all different in some way or another. The game will last you around 12 hours and there is a lot of replay value as you work to solve the rest of the puzzles and complete the minigames. It’ll probably take you around 20-30 hours to do all of that so it’s really worth the price. Even without the replay value, the main game has a lot of value. Unfortunately there is one thing that holds the game back…the ending. Spoilers will commence so skip this paragraph if you want to avoid that. I always figured that the mysterious monster wasn’t actually a monster so that was no big deal. If anything, I was surprised we got a monster at all, but it turns out that there was one hanging around. He was fighting the robot at night and immense plot hax made this look like a giant monster to the audience. Honestly, the game didn’t try too hard with this moment as there’s just no way it could have happened. Beyond that, the big issue is that at the end the monster dies from overexerting itself. It keeps hitting the walls of the town until it finally shatters them and the little girl is saved from her disease. It’s an emotional tale, but why did the monster have to die? He should have lived and then the ending would have been perfect. As it is, the story took a rather gritty turn there and instantly made this the worst of the Layton adventures. It really is a shame since the rest of the game is so solid, but I couldn’t overlook this. The game crossed a line that it should not have crossed. The game is definitely leading up to something big in the next one as the villain gets an after credits scene. 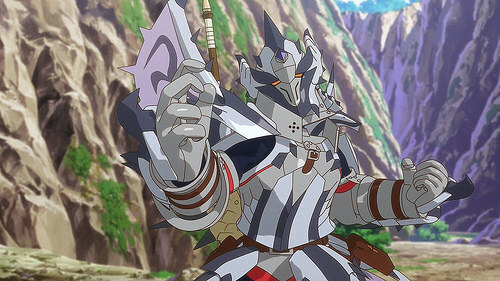 He’s not bad so far and should make for a good antagonist. I prefer him to the guy from the first two games, but Future Luke is still the best villain in the series. I aim to get the next game fairly soon so prepare for that, it shall be Epic! There’s not much more to say about the game. 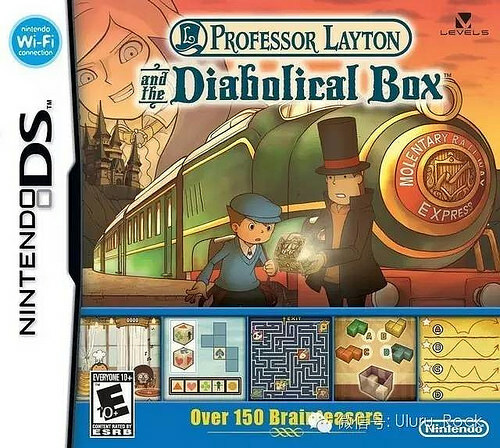 The gameplay is all as streamlined as it can be at this point and you can tell that the company is very experienced with the Layton game. It’s easy to pick up and play at any time and while the story is fairly long it never gets dull. Something is always happening. Overall, This game is a lot more low key than the last one as this is only the start of the trilogy. It still gets off to a more exciting start than the first ever Layton though. Unfortunately the gritty ending does shave off 2 whole stars from the game. An ending is supposed to make you feel glad that you played the whole game, not make you shake your head in disbelief. I’m confident that the next two games will go back to the quality that I’ve come to expect though as the rest of the game is quite sound. I’d still recommend this game to all gamers, just watch out for the ending. See how many puzzles you can solve before you have to resort to the hint coins. I’d be immensely impressed if anyone could solve all of the main puzzles without hint coins since that honestly seems almost impossible. Before the next Layton game, it’s going to be time to play something a little less intellectually stimulating. Time for the next Layton game. This is the big one folks. We assemble all of the characters from the first two games and throw in the most fantastic plot yet for epic results. While I don’t really care for some of the final twists in the game, I can’t really go into detail or else it would spoil everything. Needless to say though, the series has always been very grounded in reality which is something to keep in mind for this game. I like to think about what could have been had the twist not occurred, but it is what it is. It’s still a fantastic game and the best Layton title. The game starts off with the Prime Minister being kidnapped. Layton and Luke head over to investigate when they are told a fantastic story. The Minister has been taken 10 years into the future and they can go over there as well to find him. Layton is skeptical, but he always keeps an open mind about these things so he heads on over. 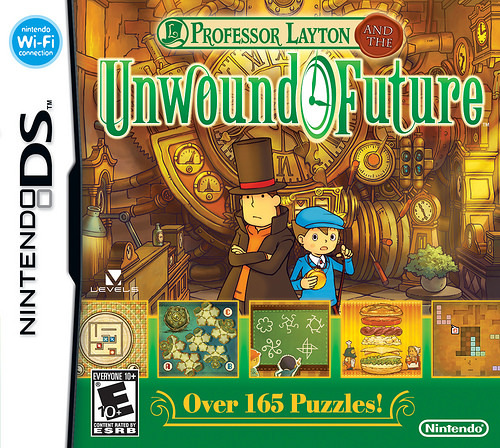 In the future we meet up with Future Luke who is now a genius who can compete with Layton in battles of the mind. He lets them know that Layton has turned evil in the future and rules the city with an iron fist. His gang is in control and the cops are no more. 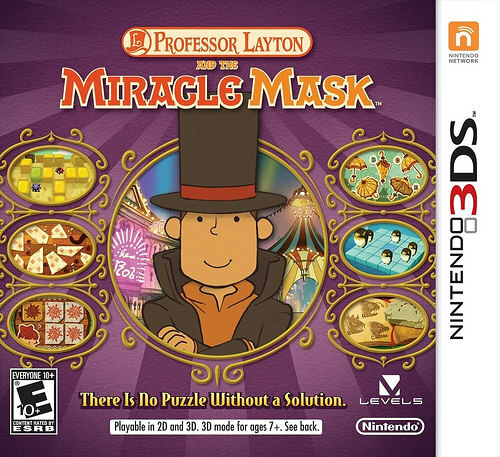 Layton wants to meet his future self and save the Prime Minister, but it will require some brawn as well as brain this time. 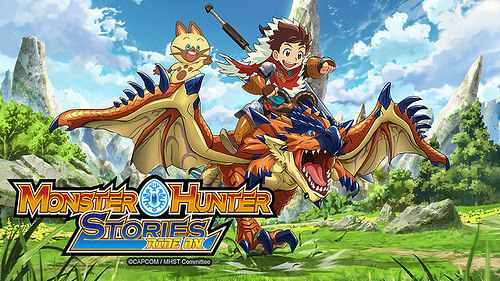 It’s just a very ambitious game and the new setting was a lot of fun. All of the usual supporting cast members got to come to the future as well which made for some fun interactions. The cop and his bumbling sidekick are here, Flora is here, the main villain from the first two games is here, etc. Everyone is back which makes the game feel pretty grand and the old villain even gets a backstory. I think the game maybe tried a little too hard to make him a nice guy all of a sudden who Layton treats as a rival, but I can roll with it. The standout character here is definitely future Luke. He had the perfect voice for the character and we just haven’t seen a really overconfident genius until now. They were either all very polite like Layton or not the genius type. Luke was just a nice contrast and any scene he was in was pretty great. It’s no exaggeration to say that he is my favorite character in the series. He was just really awesome. The rest of the characters are really good as well of course. Layton is still a great lead who always stays calm and collected no matter what happens. He just stays in control of the situation and always has a plan up his sleeve. Honestly, I could have done without his flashbacks, but I suppose this way we finally learned about his past. It wasn’t the most interesting of tales, but I guess it gave him his motivation for why he became a genius. Young Luke is the same as always. He’s pretty eager to help out with the cases and he is actually very smart, but still lags behind the others. He’s nice enough. I definitely enjoyed the story and it certainly went by quickly. The game is of a pretty decent length as it will last you over 10 hours, but the pacing is just really solid. It’s also still funny how everyone will randomly challenge you with puzzles for everything so you’re always solving. 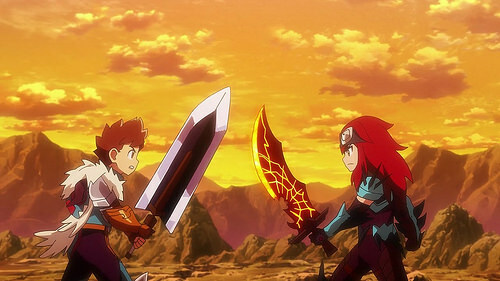 It’s sort of like how everyone duels you in Yu-Gi-Oh. The more forced the situation the better. That being said, I did have some problems with the final twists. I’ll try to go about it in the least spoiler way possible. Just skip the next paragraph if you don’t want to learn about the twists. So, the big twist is that there is no future and the characters were just taking an elevator which took them to the basement of a building where the main villain created an exact duplicate of London down to every building and street. I get that the whole future thing didn’t work since it wasn’t realistic…but is this any better? I just have a very hard time believing that a duplicate London could be built without anyone knowing about it. You’d need an incredible amount of resources and time to do it. It would take at least a decade and probably more. Not to mention that at least one worker would have likely squealed at some point. I feel like the entire story doesn’t work as a result and I could not wrap my head around the twist. It happened though, so I just gotta hold that L.
The graphics are pretty good as usual. It’s still very impressive how the game has complete animated cutscenes within it. The normal levels also look really good and the puzzles are pretty clear. The soundtrack is actually better than usual and it’s easily the best Layton soundtrack. Again, you can tell that the creators of the game really put their all into this one. It’s just very well done on all accounts. If I had another minor gripe, it would be that the puzzles can be a little unclear at times. You just don’t know what they want you to do and that can naturally make them difficult to solve. On the other hand, the game is more generous with the hint coins than usual so you should usually have enough to help you out with the tougher ones. A lot of other puzzles you can also guess through as there are a limited number of answers so you’re bound to run into the right one sooner or later. All in all, it was a solid puzzle selection though. To help with replay value, you also have parrot minigames and a car one. I didn’t play around with those much, but they’re not bad. There’s also the extra puzzles that you didn’t solve during the story. If you count all of that, the game will definitely last you a long while. Overall, This was a really fun game. Everything is smooth, from the interface to the controls in the puzzles. I’ve definitely enjoyed the Layton games a great deal and can’t wait to buy the next one. The next game is apparently the start of the prequel trilogy so for all intents and purposes, this was the big climax of the series. You should really play the first two games to appreciate this one more, but it’s pretty new gamer friendly so you’ll be able to get into it either way. 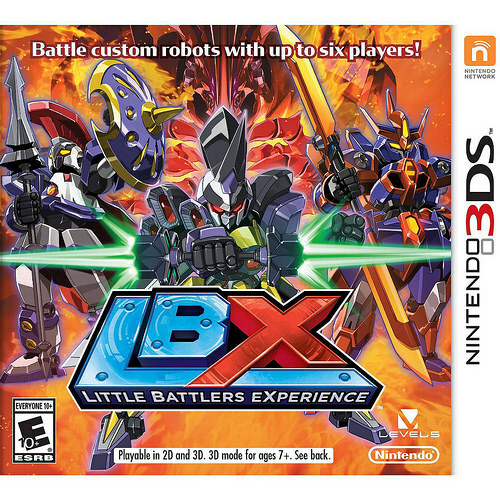 I already own the next game so I’ll certainly be starting it soon after a quick break to play through LBX first. 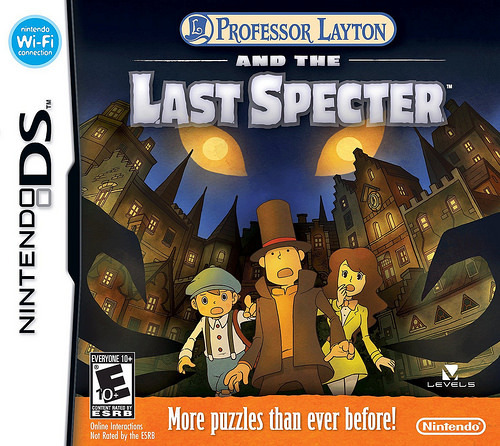 Imagine if all puzzle games were like the Layton series, I’d be playing them a lot more.